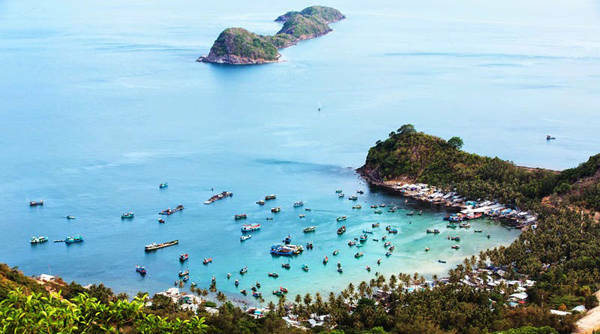 Located 40 km away from Phu Quoc Island, with endless evergreen primeval forests, long stunning beaches and splendid rock cliffs, Nam Du Archipelago (Kien Giang province), it is not an exaggeration to say this place is a wonderland. Recently, Nam Du Archipelago has become an attractive destination for backpackers heading to the Mekong Delta. This pristine island has 21 islets, 11 islets of which are inhabited, while the others remain completely untouched, offering visitors a real break from the hustle and bustle of daily life. The islands can be visited anytime of the year, but it’s best to go between November and May. The rainy season is characterized by rain, and during the peak of this season from July to September, it may have a lot more rain and rough seas. Hence, the best time to visit Nam Du Island is from December to April when the sea is peaceful and turquoise, the temperature is comfortable and the weather is consistent and sunny. You can take a flight from Ho Chi Minh City or Phu Quoc to Rach Gia Airport (Kien Giang Province) and then take a bus or taxi from the airport to Rach Gia wharf. At the Rach Gia ferry wharf, you can take either a Superdong Speed-boat or Ngoc Thanh Ferry to Nam Du Island. The Superdong Speed-boat is efficient, orderly, air-con and comfortable. Seating is assigned and you get a bottle of water, a refresher towel and entertainment on flat-screen TVs. For people who love some sport activities, trekking to Nhum Beach is a great experience, you need to hike along a small trail, pass the towns fresh water supply source, and down through a densely forested area teeming with wildlife. The trail eventually leads to a rocky beach and the best time to hike this trail is before sunrise. Nam Du archipelago is plentiful marine life and coral reefs and Hon Dau Island is a perfect destination for diving, snorkeling that offers you a discovery of the colorful world of wonderful coral reefs. You can snorkel from shore, join a tour, or charter your own boat and don’t forget to bring your swimsuit and your swimming goggles. Nam Du’s ocean sunrises and sunsets are some of the best you will ever see in Vietnam and since the island is so small you can actually watch from a single location. The pier at Hon Lon Island is a perfect spot to watch the sunrise right behind Hon Dau Island. Be sure to keep an eye out above to spot the few hawks in the area. Meanwhile, sunset along the coastal road on Hon Lon Island is breathtaking. Stop anywhere along this road and watch an amazing ocean sunset. You can either fish from the main pier, commission a small boat, or rent a boat. There are also night squid and baby octopus fishing excursions that may be of interest to you. You can also forage for your own food as all the Nam Du Island are blessed with many wild edibles and seafood such as sea snails, oysters, clams and sea urchins. There are two colorful temples called Mieu Ba Chua Xu and Ngu Thanh Mieu. Mieu Ba Chua Xu is near Tret Beach having a beautiful statue of Ba. Ngu Thanh Mieu is near Bai Ngu, worships whales and you can see their bones on display. Discover the Nam Du archipelago by joining a full or half day tour of the Nam Du islands. 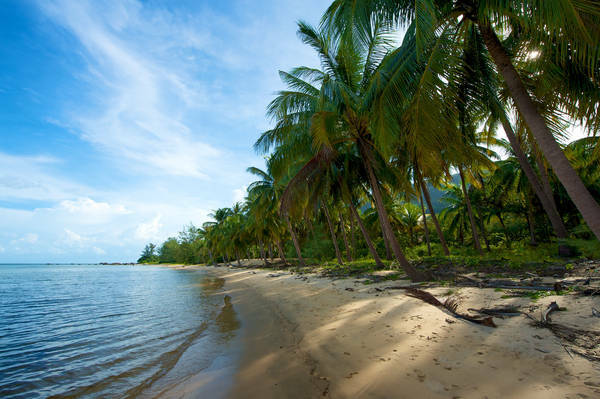 The itinerary for these tours consists of visiting the popular islands, swimming at calm bays, snorkeling in areas that have good coral, and visiting Nam Du’s best beaches. There are 2 tours available, a full day tour or half day tour so you should consider with your schedule. Blue bonefish or "Xuong Xanh", as this green colored fish is quite abundant in and around the Gulf of Thailand. It is of served grilled or a dried version is fried. 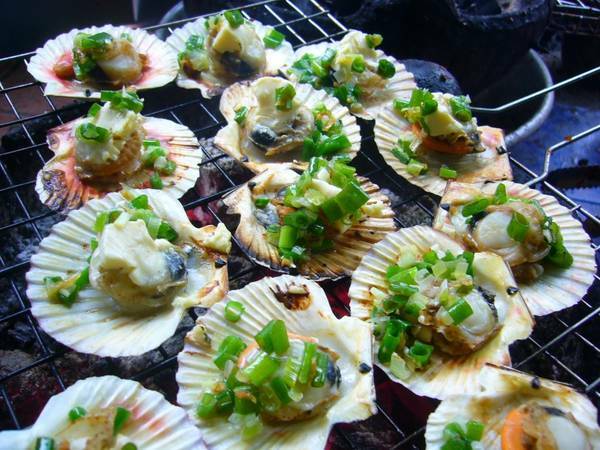 Scallops are a popular seafood with delicious ivory flesh without toughness, suitable for both fried and roasted, and is one of the materials to be processed into a variety of delicious and nutritious dishes such as: fried scallop with salt and pepper, grilled scallop with fat and union. During the breeding season, squids contain many eggs, for more than 70% of a squid. With Squid eggs, you can make many a tasty dishes like: fried squid eggs with chili fried ruffled squid, but the most striking is still steamed squid with ginger. Note: The archipelago only gets power from 8 a.m. to 1 p.m. and from 3 p.m. to 11 p.m. every day, so charging devices like phones, computers and flashlights should be done at this time. The lack of many activities in the evening, for instance, makes a fire camp or beach barbecue far more enjoyable./.